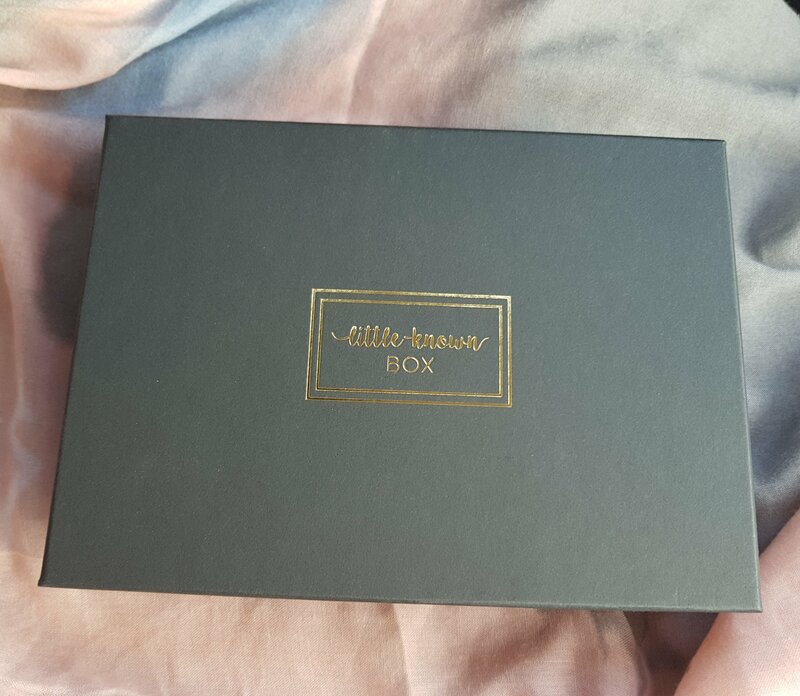 It is with a heavy heart, that this will be my last Little Known Box. I’ve had to scale down on all of my subscriptions as my car was declared off the road. The plus, is that I’ve now got a new car, but the downside, is that my disposable income has been reduced! 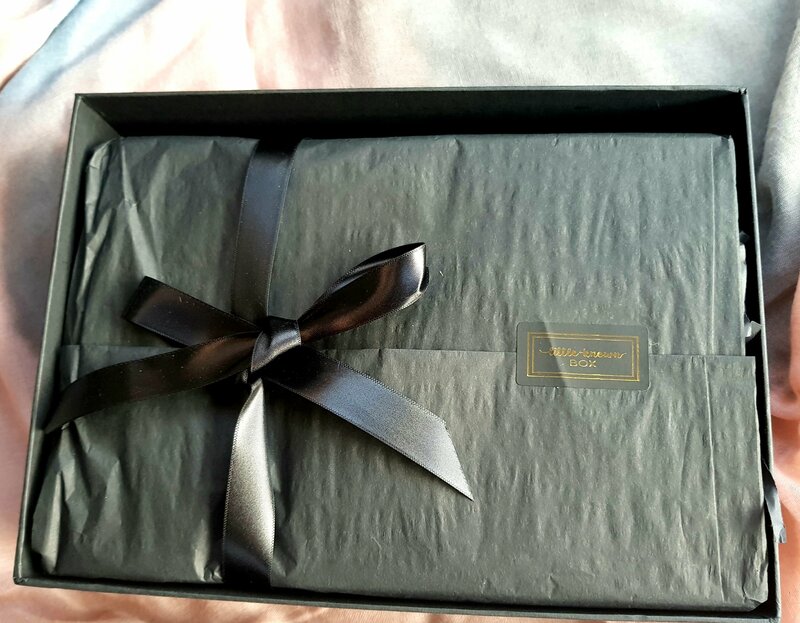 LKB is definitely a box I hope to resubscribe to in the future. 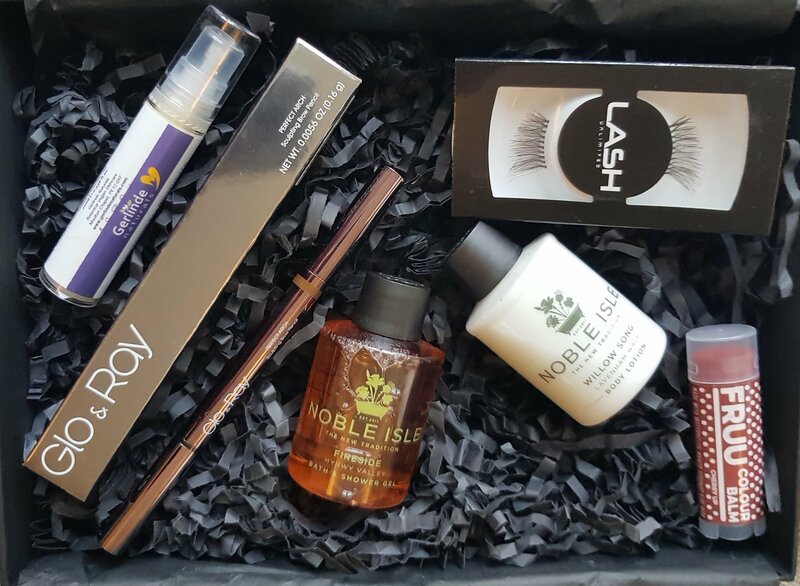 It’s cruelty free and vegan friendly and this month’s box was fabulous! Firstly, I checked out the product card and thought you’d get one or the other of the Noble Isle products, so I was made up when I opened up to two bottles! They smell beautifully wintery too. I’ve been wanting to try the Fruu brand too after seeing it on Instagram. It’s a dark coloured balm, but it only slightly tints the lips. But just enough to add some colour! I’ll be popping it into my desk drawers, which LKB have helped to organise! 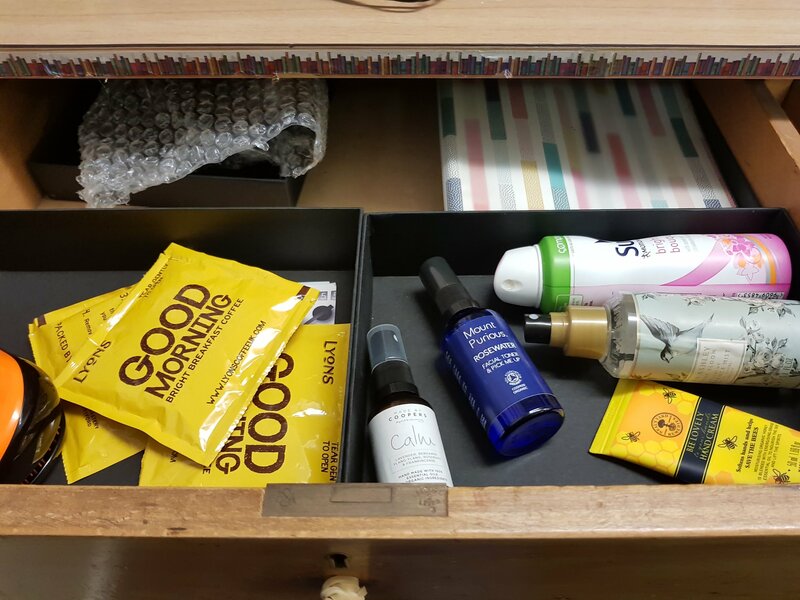 The boxes fit perfectly, this is my ‘me drawer’ the other is jam-packed with stationary! I absolutely love the eyebrow shader and shaper from Glo & Ray, a new, British brand to me. It’s sleek, and compact with a cute metallic design. The brown shade is a great match for my brows and I like the brush on the opposite end to shape and fix any strays. LASH strip lashes which attach to the ends of your lashes are also a first for me. I’m used to full strips, so I’m intrigued to get a product I’ve never tried, but will definitely use. They also support breast health, remember to check regularly ladies! A great cause and an attractive brand. Finally, a pump moisturising lotion from Gerlinde Naturals. I’m actually keeping this in my hand bag because of its convenient size and security from leakages! It’s botanical based products, good for sensitive skin. I’ve loved every single product this month and without a doubt, LKB provide the best info card. They provide product discounts, social media handles, prices and a history of each brand. I keep them each month and I’m yet to find another box that goes to so much effort. Use code NEW10 for 10% off your box.